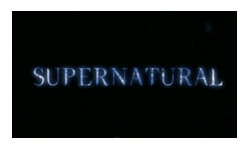 I had a very fast burning relationship with Supernatural. In 2009 I picked up the first season on dvd for possibly the best seven quid I’ve ever spent and burnt through the first four seasons in just a couple of weeks until I caught up to the new episodes. Then I had to plod my way through episodes as they aired which felt like torture. It went in at number 6 on my television of the decade list and both show and actors appeared on my favourites lists at the end of various years. Supernatural is by far the best successor to Buffy the Vampire Slayer’s achievement of being so much more than it might appear. It may be on the CW, may be talking about monsters, and feature a couple of lead actors that are pretty easy on the eye, but it’s not about any of those things. It’s about destiny and family, commitment to a cause and to people. It’s two brothers driving around the country in a cool car which a huge intricate mythology unravels around them. It also certainly doesn’t hurt that it’s a huge amount of fun along the way with a willingness to poke fun at itself and its genre that means even after 10 seasons it doesn’t fall into being so far up its own mythology that you’ve got no hope of following. It also managed, maybe even better than Buffy did, to survive the end of its planned arc. After the five-year plan wrapped up and the original creator and visionary left, the show continued on. It could even be argued it got better. The new characters slotted in, the lines between good and evil continued to meander about engagingly and the relationship between the brothers grew ever more complex at the same time as it remained fundamentally oh so very simple. Given all that gushing, why is it appearing under the heading of “things I’m no longer watching”? The simplest explanation is that I think I liked it too much. 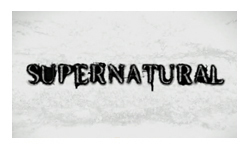 I fell into the series so hard and so fast that I cared a bit too much about everyone in it, and Supernatural is not a show that it’s good for your mental health to be too close to. The problem is that bad things happen to the characters. Endlessly. They save the world over and over and in return the world really screws them over. I mean getting hurt and angsty is fine, that makes good television, but the level of misery inflicted on these guys just gets very wearing. As a quick (spoilery) summary goes basically everyone the Winchesters love dies, including each other. And they don’t just die quick and easy, they go out messy, drawn out and painful for everyone leaving and everyone left behind. Season 3 set the tone with a season long death sentence for someone that was excruciatingly well played as everyone came to terms (or not)with the unavoidability of not just death, but a sentence to eternity in hell. That was season 3. It got worse. The stories are all compelling, they’re all well written, well acted and entirely justified in the context of the world threatening badness that surrounds the Winchesters. But good grief is it ever depressing. The boys end up alcoholic, sleep deprived, mentally unstable and disconnected from any kind of happiness; doomed to forever be saving the world yet unthanked and unrewarded. It’s relentless. And that was one of the last things I said about Supernatural. Because when season 8 rolled around, I just couldn’t face watching it. I let it back up on my sky box for a while and every time I sat in front of the tv wondering what to watch I decided I didn’t *want* to watch Supernatural. I felt I should watch it. But I didn’t want to and eventually, I just deleted it. I kept up on recaps for a while, but that was even worse, because seeing what was happening without also seeing the lightness of the character interactions, the wit of the dialogue and the fun of the action sequences just made it all seem even worse. By all accounts the strengths of the show are all still there, they’re just happening without me along for the ride. 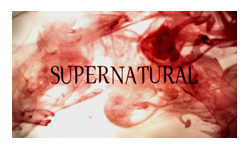 The series is currently showing season 10 and it’s renewed for an 11th, an amazing run for a little show on the CW. I have it in my head that when the show finally finishes I’ll find out whether there’s a happy ending for the Winchester Brothers or not, whether all their suffering is eventually rewarded appropriate. If it is, if it’s all worth it somehow, then I may pick up some dvds and push on through. But if it’s not, then I’ll let them live in my memory as maybe one of the best shows on television, one that is so good, it’s unwatchable.